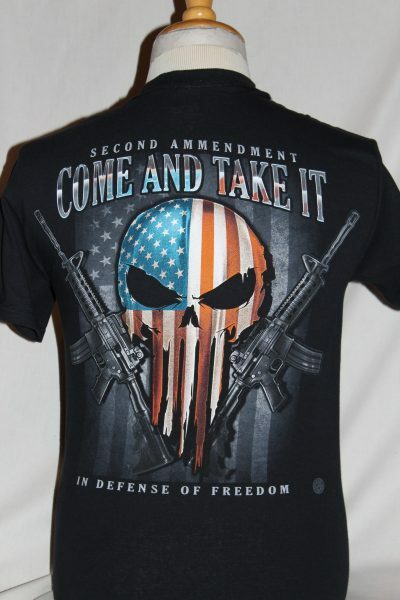 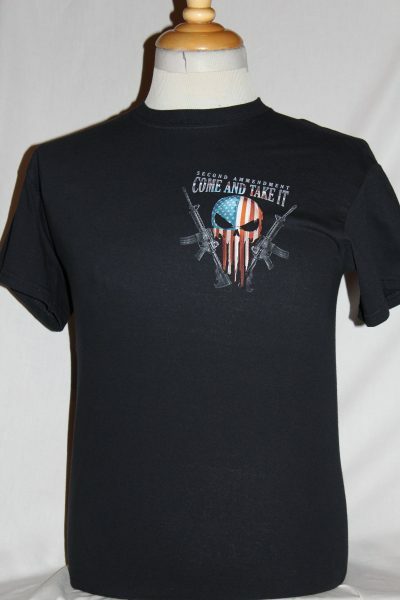 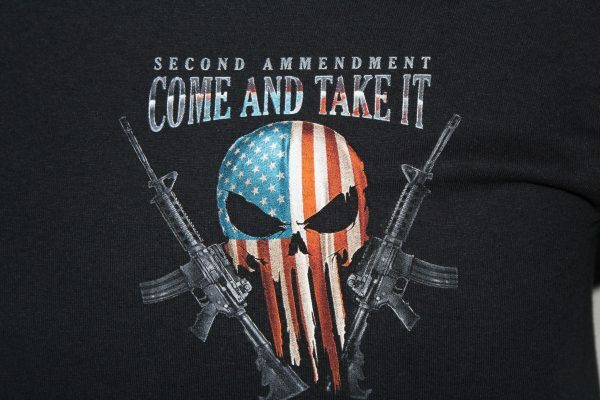 The Come And Take It In Defense Of Freedom T-Shirt is a two sided print in black. 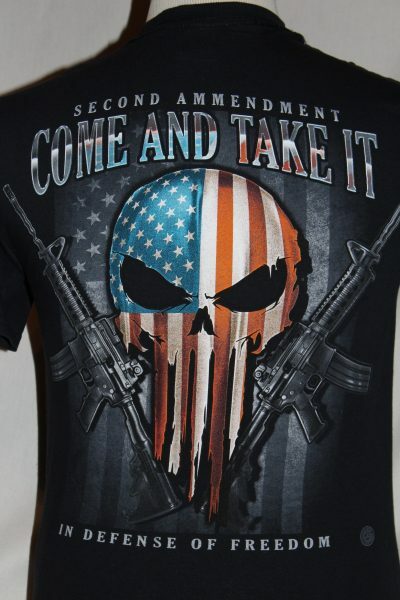 Front Design: Left chest image of skulled American flag, AR15's, with text. 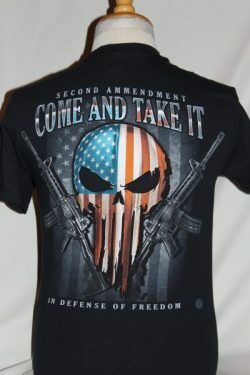 Back Design: A Larger image of the front.